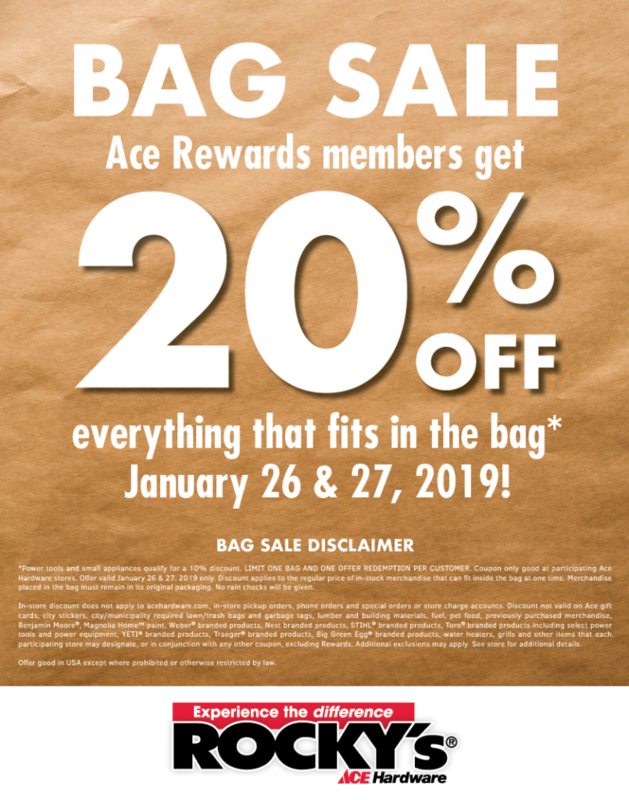 Rocky’s Ace Hardware members save during our bag sale on January 26 & 27. 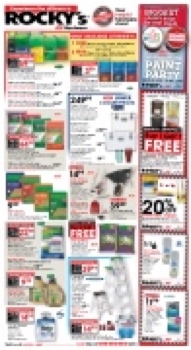 Take 20% off everything that fits in the bag! Some exclusions apply.